A long-time friend to the nonprofit, business and arts communities, Alison brings a decade of experience as a corporate funder to the new Business Partnership Manger role. 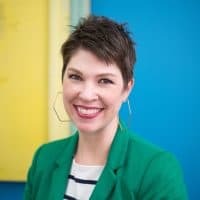 She leads the Work for Art team and is responsible for building meaningful connections between business and the arts in the region. In addition to Work for Art, Alison helps inspire funding support and awareness for Juice (formerly known as Arts Breakfast of Champions) and RACC’s board training program, Art of Leadership.